Looking to do some local sightseeing this summer that combines your love of Boston history and charitable trust administration? Look no further! Visit the (recently renovated) Lotta Fountain, a drinking and play fountain for dogs, located on Boston’s Charles River Esplanade. 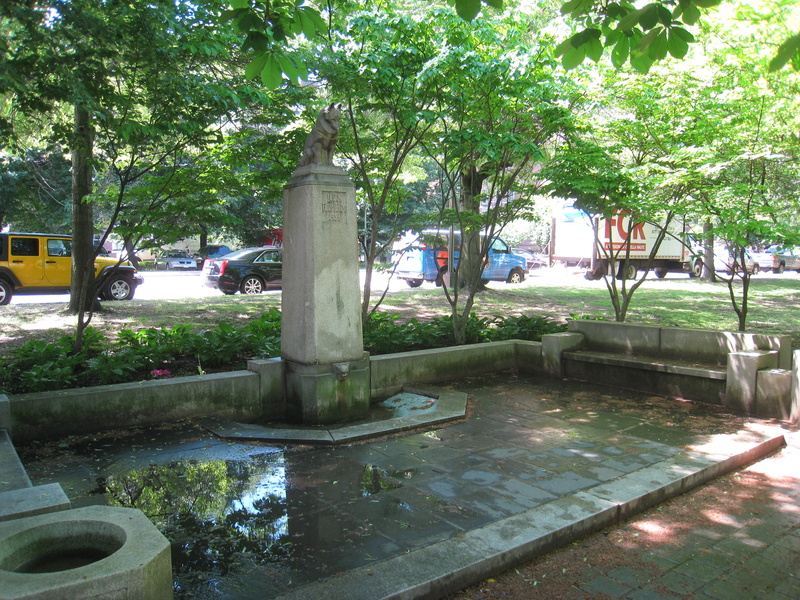 The Lotta Fountain was a charitable gift from a Trust established under the Will of Lotta Crabtree. Lotta Crabtree was a very successful 19th century vaudeville star. At the height of her career she was the highest paid actress in the U.S. and became one of the wealthiest entertainers of her day. At the time of her death in Boston in 1924, she had amassed an estate of over $4 million (worth over $50 million today). She never married or had children. In her Will, she established and funded eight charitable trusts for various purposes, including animal welfare. One of those charitable trusts was used to establish a $300,000 fund to benefit animals. That fund led to the design and building of the Lotta Fountain in 1939. The Fountain later fell into significant disrepair in large part because the Trustees mismanaged the trust and charged excessive fees which depleted the fund’s assets. In 2004, a Massachusetts court held that the Trustees breached their fiduciary duties. They were removed and reprimanded, and a surcharge for the excessive fees was imposed. The Esplanade Association and Boston’s Department of Conservation and Recreation raised money to repair and renovate the Fountain. It opened June 15. It will now fulfill Crabtree’s charitable intention by serving as a drinking and play space for Boston’s four legged residents. If you wish to visit, the fountain is located on the Esplanade between Berkeley and Clarendon Streets, near the Arthur Fiedler Bridge. I have not yet been there, but I think it is worth a visit this summer. Image of fountain from wikipedia commons. This entry was posted in estate, estate planning, law, probate, trusts, Uncategorized and tagged estate planning, probate on June 30, 2017 by Rachel Ziegler, Kaiser Law Group.